I am the owner of Quindalup Fauna Park, a small wildlife park near Dumber in WA. We have birds, marine fish, reptiles and animals including the first dingoes DNA tested in the state. Dunkin and Ruby. Dunkin and Ruby have had two litters of pups. The first litter was three pups, the second they had four. 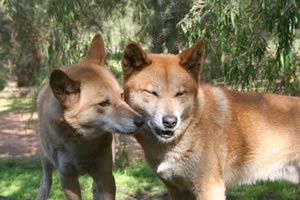 Being pure bread dingoes they can only be kept in wildlife parks or zoos. This makes it extremely hard to find legal homes for the pups. We found homes for the first litter. 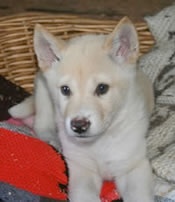 While we were trying to find homes for the second litter I rang CALM to see if there was any other options. There answer was NO! If you can't find homes for them you will have to put them down and if you disobey this rule we will cancel your wildlife park license. 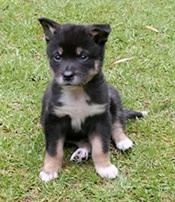 We finally found homes for the pups but I was very disappointed with CALM because the dingo is almost extinct in the wild in WA because of hybridisation with domestic dogs. They say there are only wild dogs and it is there duty to kill them all as well as foxes and cats. They do this killing using 1080 poison which they drop from plains under the name of western shield. I believe that this killing is barbaric and not only kills foxes and cats but is killing the environment. If you kill most of the carnivores which 1080 dose when it is injected into meat and drop it all over the country there are only herbivores left. Herbivores like rabbits goats kangaroos and camels will breed up to numbers that can defoliate. This can led to loss of food and habitat for the animals that CALM are trying to protect. Scientist say that defoliation is a major contributor to the greenhouse effect,it also is the main cause of salt problems in WA Defoliation can also aids in the spread of weeds.